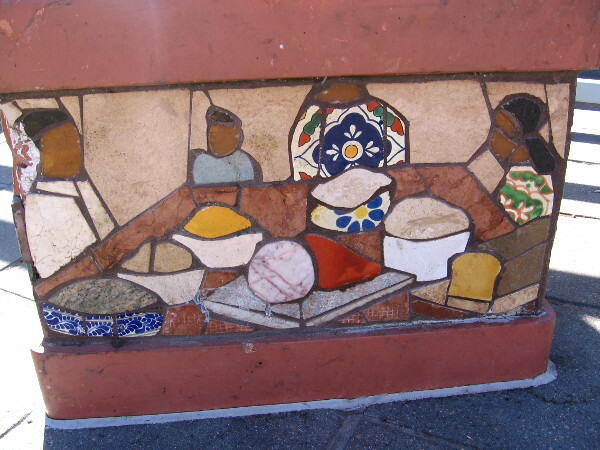 Tile mosaics show Hispanic life, culture and history. – Cool San Diego Sights! 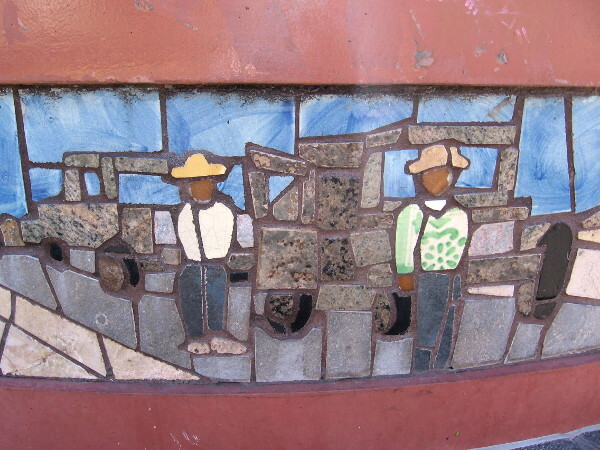 Tile mosaics show Hispanic life, culture and history. 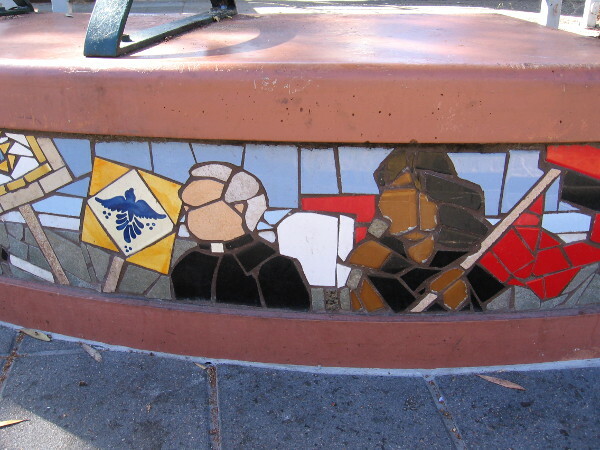 Mosaic scenes of Hispanic life, culture and history decorate benches and seats at a San Diego Trolley station. 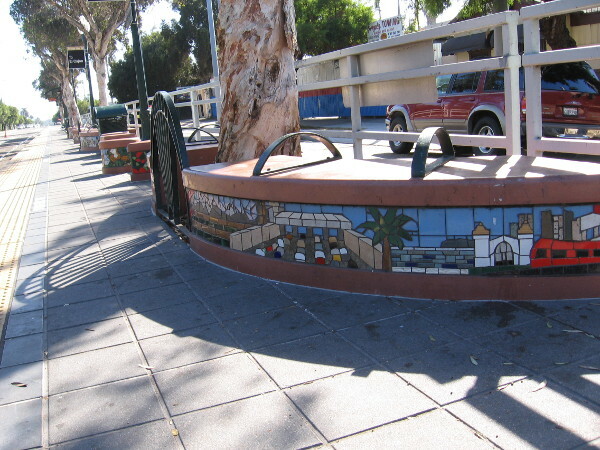 In Logan Heights, the 25th and Commercial Street station of the San Diego Trolley’s Orange Line features public art at both it’s east and west platforms. 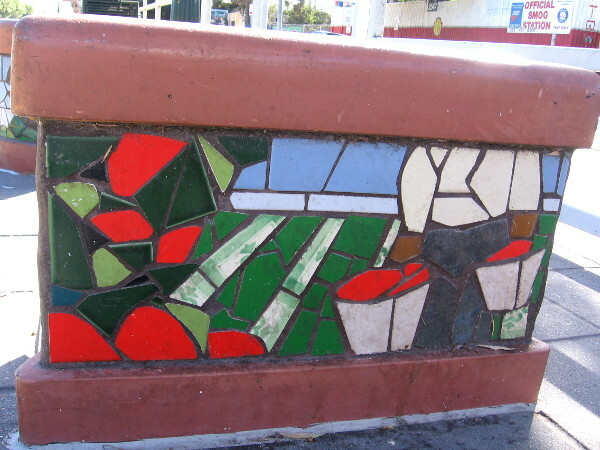 A week or so ago, I enjoyed looking at colorful mosaics made of tiles on the base of various concrete seats and curving benches. 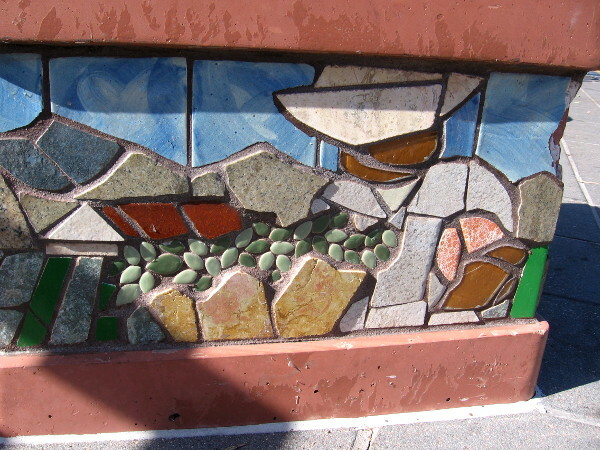 The small mosaics depict Hispanic life, culture and history. There are abstract scenes of immigrants working in fields or in construction, of family at home, and of organized activism. I took these photos at the eastbound platform. 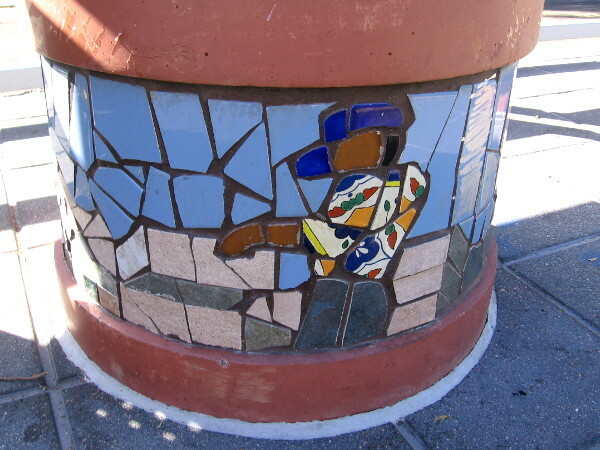 The mosaics are part of a project titled Achievement / Progress / Community: In the Spirit of Cesar E. Chavez that was completed in 2006. 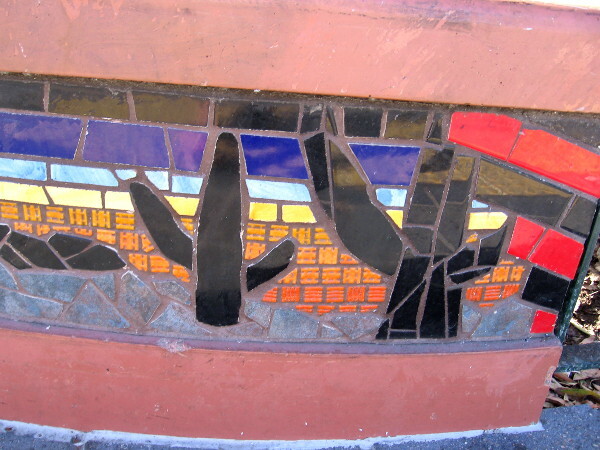 The mosaics were created by artist John Hiemstra. 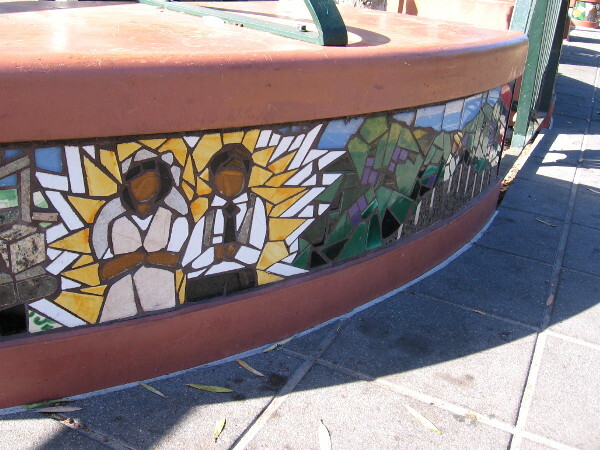 The trolley stop is dedicated to civil rights leader Cesar Chavez. 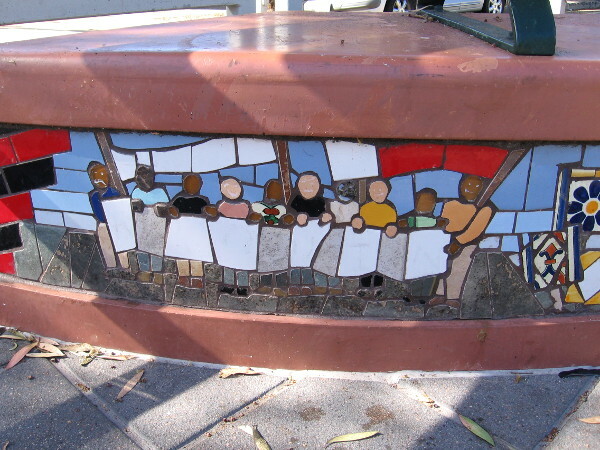 Photo along length of 25th and Commercial Street trolley station of the Orange Line. This is the eastbound platform. 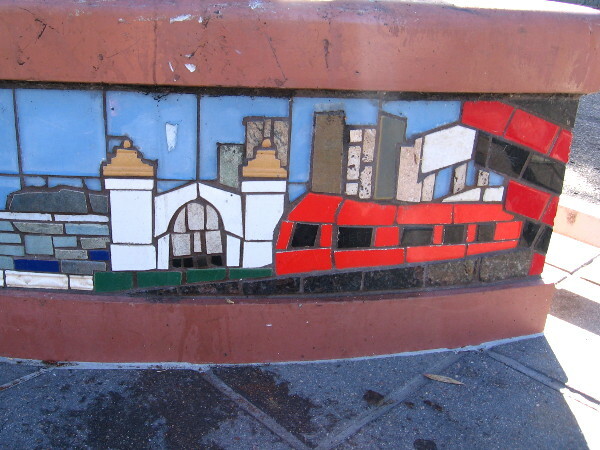 A small tile mosaic scene features a red trolley in front of downtown’s Santa Fe Depot. A family at home around a table laden with food. Migrant workers planting seeds in a field. 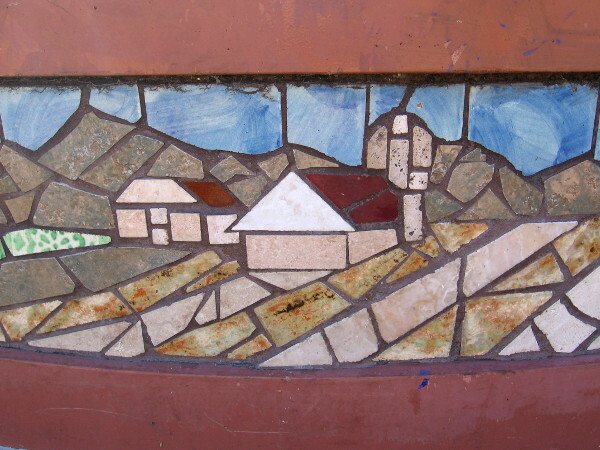 Mosaic shows what appears to be a ranch in a Southern California landscape. Farm worker is harvesting tomatoes or strawberries. Saguaro cacti in a Southwestern scene. 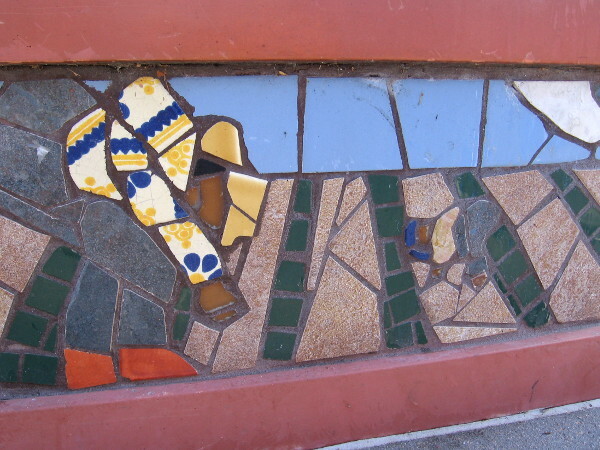 Beautiful abstract mosaic. Tiles of different colors, sizes and shapes. 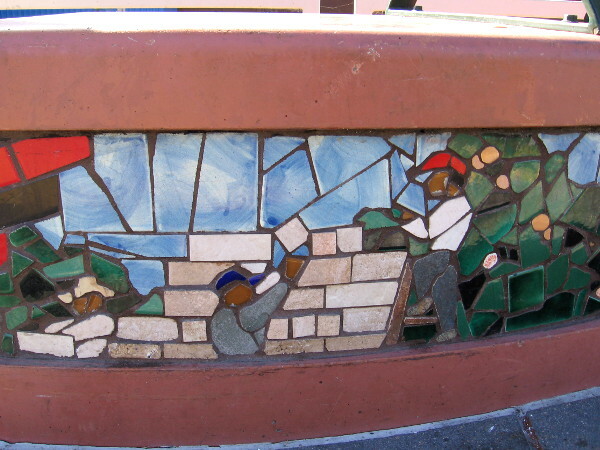 Hispanic workers build a wall. A laborer hard at work. Two figures stand near automobiles on a highway. A diverse group appears to hold up signs in a protest. A priest and an activist. Hispanic youth together, perhaps students. Another scene of life, learning, hope, struggle. 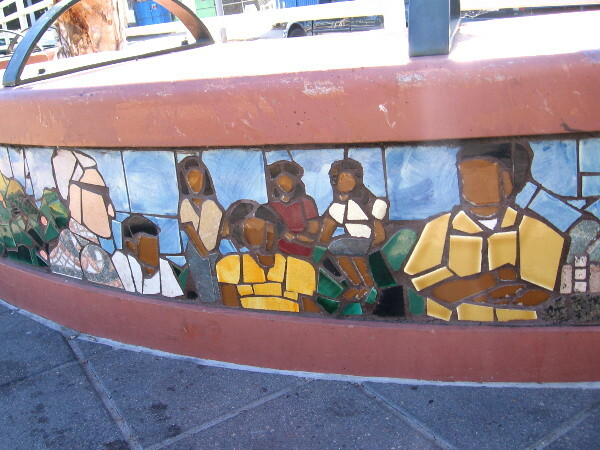 Pingback: Artwork next to 25th and Commercial trolley station. – Cool San Diego Sights! Previous Previous post: Tijuana Zine Fest at Museum of Contemporary Art. Next Next post: Halloween fun and creativity in Balboa Park!